Overcome the emptiness of the blank page in the immense, uncluttered landscape of Þingeyri. Led by award winning Young Adult novelist Jenny Valentine and sailor poet Emma Beynon, this workshop is designed to stimulate and give space for your writing, whatever your level. Writing together in a supportive atmosphere, you will be introduced to a range of techniques for starting to write and maintaining momentum. You will explore character, setting, structure and plot, through fiction, memoir and poetry. Þingeyri is a small village situated on a spit of land in one of Iceland’s most scenic fjords, Dýrafjörður. In the middle of Winter, you can watch the Northern lights from on top of the Sandafell, and the days are filled with snow storms, silence, solitude, ravens, and the billowing sea. Its culture and industry have been shaped by the sea for centuries. Early mornings, small fishing boats leave the shore, coming back loaded in the late afternoons. The bank, library and municipality services are housed at the community centre Blue Bank. Þingeyri has the oldest still functioning mechanic workshop in Iceland. And there is of course the swimming pool and hot tubs, a social meeting point for the village, where locals drink coffee, discuss politics or the latest town gossip, plan the next town event, and tell stories. During the 4 day Creative Writing workshop you will be introduced to a range of writing activities to develop your skills. The key elements of description, sense of place, narrative and finding your voice will all be covered. We will write, read, talk, imagine and explore together, using activities designed to help you tap into your own experience and environment, working across a wide range of genres. You will leave Þingeyri with a toolkit of skills and some fine writing in your notebook. Price is 59.000 ISK and it includes accommodation for 4 nights in shared housing, 3 lunches and 4 dinners. Maximum number of participants is 10. This session will use short inspiring exercises aimed at generating and capturing ideas. Expect to open up new channels of creativity within yourself as you start to overcome the emptiness of the blank page. Generating ideas I, 10:00 – 12:00 Using the uncluttered landscape to inspire you, this workshop will help develop your writing. There will be advice on how to generate ideas and start to shape your work as well as the opportunity to share your writing in a supportive environment. Finding your own voice I, 10:00 – 12:00. We will explore character, plot, structure and the language itself as we focus on engaging the reader. WE will guide you towards finding your own style and stories using the isolation and beauty of Þingeryi as a foil for your writing. On Your Way I, 10:00 – 12:00. Now that you have been introduced to the building blocks of writing and developed the habit of getting your words down on the page. There will be an opportunity to share, review, edit and extend your writing. You will leave with a polished piece of writing in your notebook, and vibrant memories of this beautiful working town. 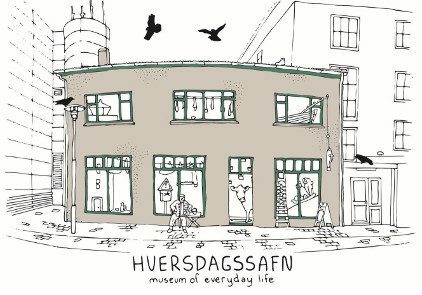 Open Night at Hversdagssafn – Museum of Everyday life, Ísafjörður 20:00 – 22:00. This informal showcase event will give all participants an opportunity to read or exhibit their work, talk about writing and the town itself. * The project is supported by Ísafjarðarbær municipality and Uppbyggingarsjóður Vestfjarða.